Woke up today to media reports that South Korean actress Choi Eun-hee had died. More “notorious” for her time as a detainee at the pleasure of North Korean leader Kim Jong-Il than her acting career, there are still a great number films in her cannon worth discovering. “My Mother and Her Guest” (1961) is a beautiful and touching melodrama which is a perfect place to start for those looking to know more about Choi and director Shin Sang-ok.
A reader of the site has forwarded me a film that I’ve not heard of before, and giving we could all do with a little light relief at the moment, I am very excited to watch the below romantic-comedy from North Korea. I was lucky enough to be approached by the BBC to write an article on the US defectors who ended up North Korea and became reluctant movie stars. Follow the link here to check out the article. This American Life, a podcast I suggest you all listen to, featured a fantastic retelling of the Shin Sang-ok & Choi Eun-hee saga this past week. 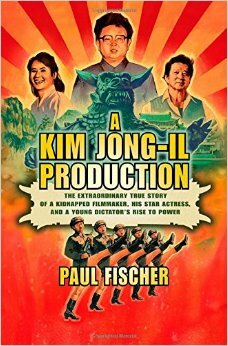 The story of the kidnapping South Korean director and star at the hands of movie fanatic Kim Jong-il is beautifully told by Paul Fischer (who has authored a book on the subject) is especially worth a listen as it contains extracts from the secret recordings Shin and Choi made of Kim Jong-il while held captive. Listen to the podcast (which includes two other stories) below. If you’ve read around the subject extensively, there won’t be much shocking to discover here (“what?! there’s a North Korean Godzilla movie?”) but for the generalist, this is a great introduction. For me it’s always with mixed feelings that I read stories about Shin Sang-ok’s time in North Korea… I spent months researching the story myself but never got around to writing it. How do you say “carpe diem” in Korean?